Pay-TV operators using AirTies devices can now extend their offerings with compelling over-the-top (OTT) and HbbTV video services through their hybrid set-top boxes. This follows the renewal of an agreement between AirTies, the Turkish maker of wireless and OTT streaming devices, and Opera Software. The extended agreement ensures that the Opera Devices SDK (Software Development Kit) remains available for the entire AirTies set-top-box (STB) portfolio, ranging from pure OTT/ IPTV STBs to advanced hybrid PVR STBs, as well as next-generation HEVC products. AirTies will also use the latest version of the Opera Devices SDK, the industry’s first Blink-based HTML5 rendering engine, to enable OTT services on its next-generation set-top boxes. The wireless and OTT streaming devices are targeted at pay-TV operators in the United Kingdom, Nordic countries, Switzerland and the US. “With the growing demand for IP Video and OTT services globally, we are happy to extend our partnership with AirTies, which we first established back in 2008,” says Aneesh Rajaram, Senior Vice-President for TV & Devices, Opera Software. “Leading operators are now adapting over-the-top-content streaming technology to bring on-demand services to pay-TV, as well as wirelessly streaming HD content to multiple TVs and tablets,” says Ali Sayinta, EVP, Product Management, AirTies. Opera Software and AirTies began working together in 2008, when AirTies selected the Opera Devices SDK for its newest STB. The SDK also brings support for streaming technologies including MPEG DASH, Smooth Streaming and HLS. Meet Opera Software during the Consumer Electronics Show in Las Vegas (January 6-9, 2015) in South Hall S2, Lower Level, #MP 25060, CES Meeting Place; to arrange a commercial or media meeting, contact zlauder [at] opera.com. AirTies was founded in 2004 by a senior management and technical team from Silicon Valley, with the strategic intent to become the market leader for the wirelessly connected home. AirTies designs and develops its own software and hardware, wirelessly streaming high definition video to multiple rooms and screens. 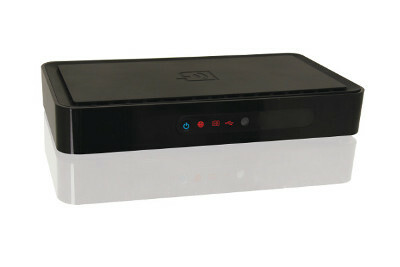 The comprehensive product portfolio includes broadband Internet devices and Internet based television set top boxes. Its award winning technology enables seamless wireless integration at the touch of a button, as well as 100 per cent internet wireless coverage in homes.